It’s Kinda Like This..Crazy Beautiful!! I always appreciate and welcome any and all questions, because if you’ve never been a parent to multiples (one or more child the exact same age), you might be unable to comprehend how crazy/beautiful it can be. I try to answer this question as best as I can, and it normally tends to be very long-winded. So I thought sharing a tiny glimpse of what I do — diaper/outfit changes upwards of 10 times a day — would be the best insight. Sometimes to believe it you have to see it….so here ya go! It’s been a few months since I have had the chance to blog… my twins keep me extremely busy running back and forth between them! Some women say they grew up feeling that embedded “maternal instinct,” while others admit (with some hesitation) that “motherhood” was never really atop of their priority list. 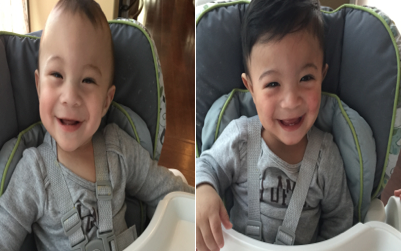 For me, the desire to become a mother always fell somewhere between those two spectrums. Anyone who knows me well will tell you education and career had always been my main focus in life. I never felt like being a mom was my ultimate dream or life goal. Instead I thrived on education and living my childhood desire of being a journalist and writer for as far back as I can remember. It wasn’t until the first moment I saw Noah and Nikoh in their incubators in the NICU — when I was not allowed to hold them for their first few days of life, and only able to place my hands and fingers along their tiny, frail bodies — that I instinctively felt the overwhelming emotion of actually feeling and yearning to be a mom. Seeing my babies for the first time changed me completely, and it happened in an instant. All of a sudden I was someone’s protector, their best friend and their biggest advocate. Yes I felt like a mom the moment I found out I was pregnant and I knew my life would change tremendously when my twins were born (it actually changed drastically as soon as I found out I was expecting twins), but I never expected how different I would become after I gave birth to them. I have always considered myself to be a genuine, kind-hearted, giving and loving person, but those emotions have amplified since I became a mother to my twins. 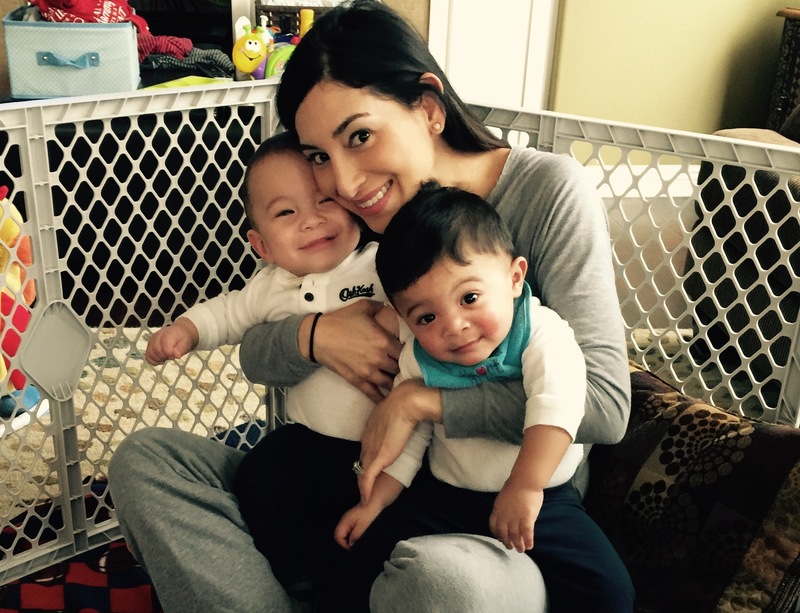 During my pregnancy I often imagined what type of mother I would be once my twins were born. I knew I would give them all of my love and devotion. 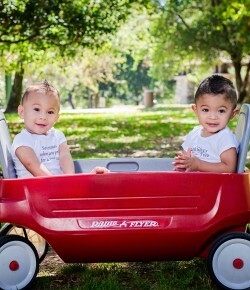 But when my babies Noah and Nikoh were born two months premature, I instantly became the type of mother they needed. I was laid off from my job with AOL.com a few months before my twins were born, and I was devastated. But you know that old saying, “It’s a blessing in disguise…” Cliche I know, but that’s exactly what it was. I love my career and am very proud of all the education, sacrifice and experience I have under my journalism belt, but I never thought twice about it after my twins were born. I often say that if I were still employed when my twins were born, I would have quit my job in a heartbeat in order to stay with my babies in the NICU around the clock the way I did for more than a month. Why? Why quit my job when so many preemie parents continue working and somehow juggle the NICU? Because that is the mother my Noah and Nikoh needed. They needed me there by their side every single day. To watch over them as they were being poked and proded, pray alongside them at their weakest moments, and to hold them when they were finally strong enough to be in their mommy’s arms. I knew they needed a mother who wouldn’t miss a second of their most trying, early moments of life. 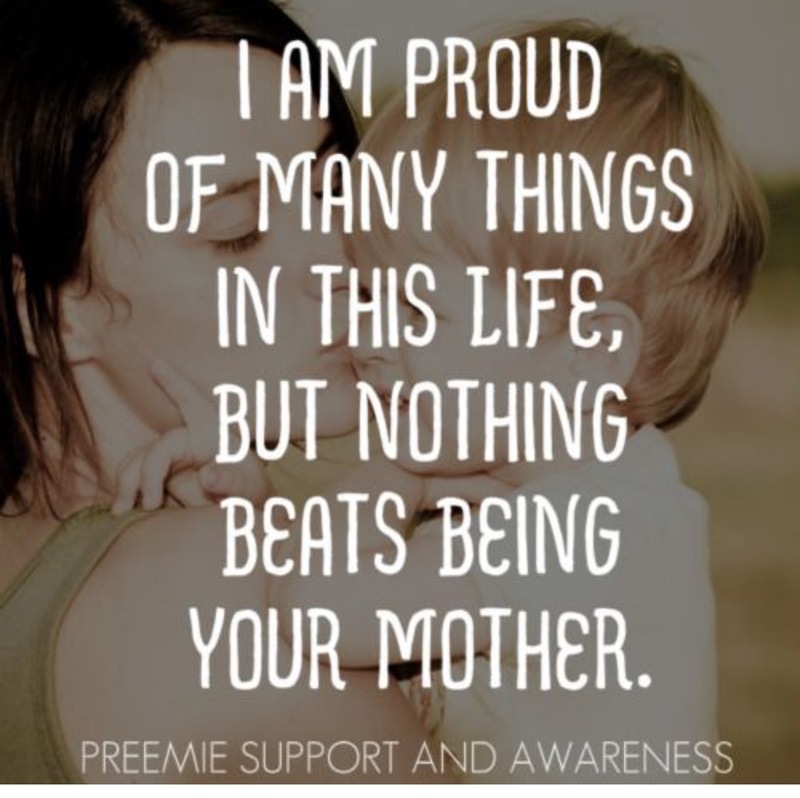 My preemies needed and deserved a devoted mom that was there for them in the NICU. Despite feeling like my body had been cut in half and healing from an emergency c-section, my babies needed me every morning, every night, all day to sit with them in the NICU and walk back and forth between the two, whispering into their incubators how much I loved them and how wonderful they were doing. Even when the NICU nurses would tell me to go home, get some rest, step outside..I always chose to stay because that is the mother my babies needed. A mommy who was there for them all of the time. Before I had my twins I used to be selfish… always on a news deadline, constantly in a hurry to finish writing my stories and always contemplating the next personal goal I would achieve. When I lost my job I cried because I missed and loved my work so much. Today that sounds silly. I can’t ever imagine loving anything more than my babies. So my friend, motherhood has showed me that time, indeed, is ever so precious. It flies by. Zooms by really when you have children. Today as I sit on the floor in my den, playing with my twins who just celebrated their first birthday, I find myself thinking about “missing my work” less and less. Instead I spend my days chasing them around, making sure they don’t pull down the blinds or knock over a chair, and I realize that being a mother to twins, has far exceeded any of my educational or professional achievements that used to mean the world to me. Twin motherhood is definitely my biggest accomplishment and it has brought me all of the love my heart has ever desired. Yes I still am a journalist, I love to write, read and learn about the news of the world, but for the time being I realize that time is fleeting, and although the news is never-ending, my twins will only be babies for a short period of time, and it’s up to me to savor, indulge in and really experience every single second with them. One day I will return to my full-time journalism post, but for now I find achievement in watching my twin preemies grow and thrive, and helping them meet all of their developmental milestones.